It's been more than a year since many Minnesota National Guard members serving in Iraq sat down to dinner with their families. Some 2,600 Minnesotans with the 1st Brigade Combat Team of the 34th Infantry Division have been on active duty in Iraq since March, 2006. They were originally scheduled to return home last month. But even though their tours were extended, volunteers and family members still plan to sit down with the soldiers for a family meal this Sunday. John Mancini of Mancini Chop House, and Dan O'Gara of O'Gara's Bar and Grill, are two St. Paul business owners who have teamed up with Serving Our Troops -- a grassroots group that is connecting the troops in Iraq with their families back home for a steak dinner this weekend. Guard members will be linked via live video to their family members who will gather at the Roy Wilkins Auditorium in St. Paul. 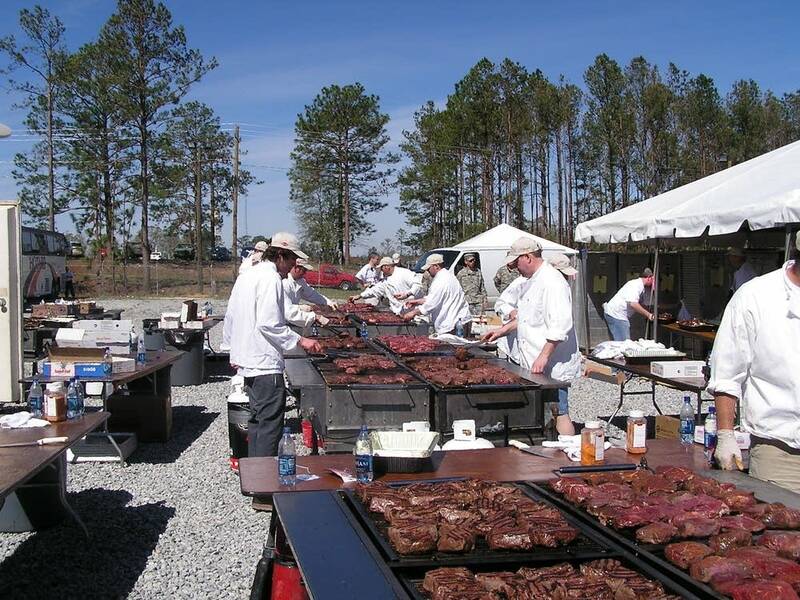 The group has shipped nearly 12,000 steaks to Iraq, to feed the Minnesota Guard members and other soldiers. The entire event will cost about $100,000. Mancini and O'Gara will help serve dinner for the Minnesota Guard Members Sunday, at 10:30 a.m. Central Time -- which will be dinnertime in Iraq. The two restauranteurs were in Kuwait Thursday, to check the quality of the steaks and make sure they get loaded on trucks headed to the troops in Iraq. MPR's Tom Crann spoke to them Tuesday right before they left, to find out just how the logistics of this dinner were being coordinated.